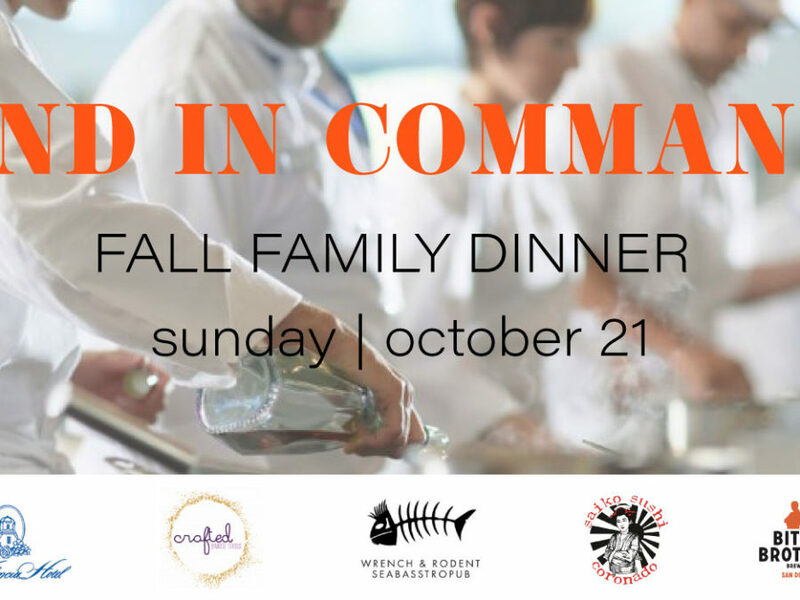 We are excited to bring you the next Fall Family Dinner, 2nd in Command. Our restaurant partners, Wrench & Rodent, Saiko Sushi, Blue Bridge Hospitality and La Valencia are highlighting the backbone of their kitchens with the fine chefs that work day in and day out to bring the best experiences to guests in their restaurants. Get your tickets early for this special dinner. All proceeds donated to our charity partner, Feeding San Diego, in order to reach our goal of feeding 20k food insecure San Diegans each year. 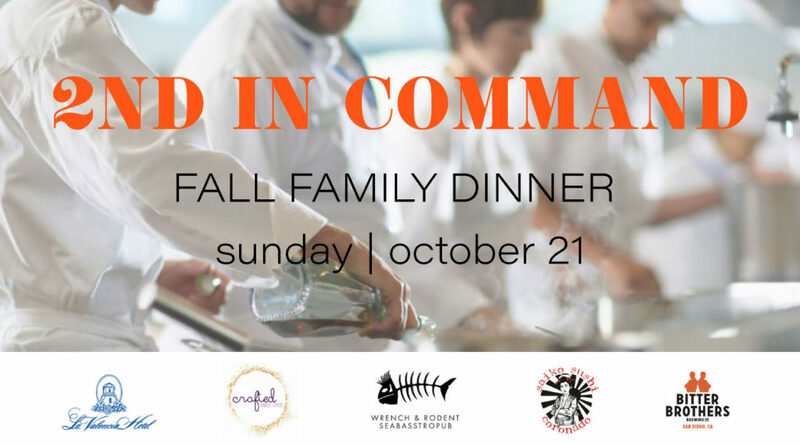 Join us on Sunday, October 21st for a grand dinner and some great beer.